Joyetech's eRoll is the electronic cigarette of choice for literally millions of vapers because it's one of those rare ecigs that successfully combine vapor performance, convenience, and esthetics. Thats is definitely no small feat; first of all, the eRoll is an automatic electronic cigarette, there are no buttons to push when vaping, then there is the crucial portability factor that allows you to slip the eRoll into your pocket and take it anywhere you want to go. When these facts are joined with extremely beautiful looks, it's really not surprising why millions of vapers choose the eRoll. 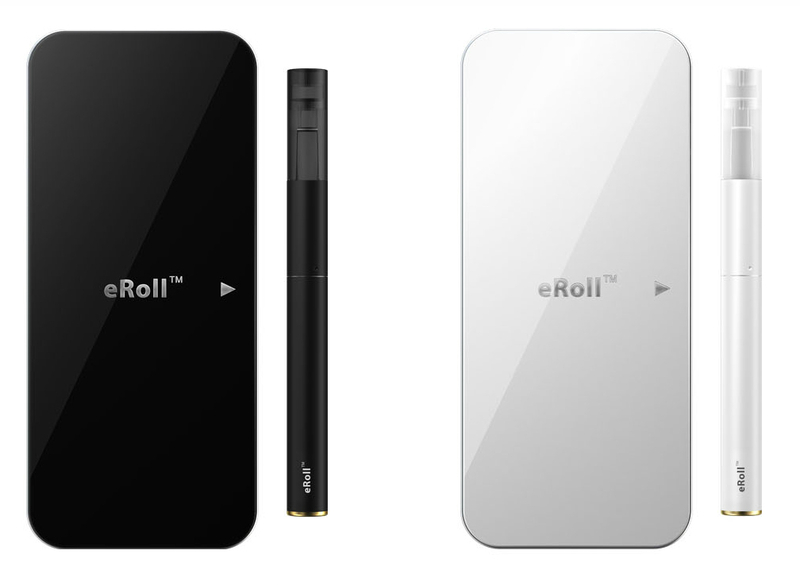 The authentic eRoll is a small and slim personal vaporizer that features industry-standard changeable atomizer heads. Slim and strong, the changeable atomizer heads used by the eRoll are the same as the ones used by eGo C model electronic shisha pens - very convenient! The ultra-functional small and slim design of the eRoll allows you to quickly check and change the atomizer head as needed as well so you have every aspect of advanced vaping technology working for you. Good vaping technology means good vapour performance; the vapor from the eRoll delivers on that promise with volumes of unbelievably thick vapour. With a surprisingly solid throat hit and flawless flavor transmission, the Joyetech eRoll is by far the best in its class. 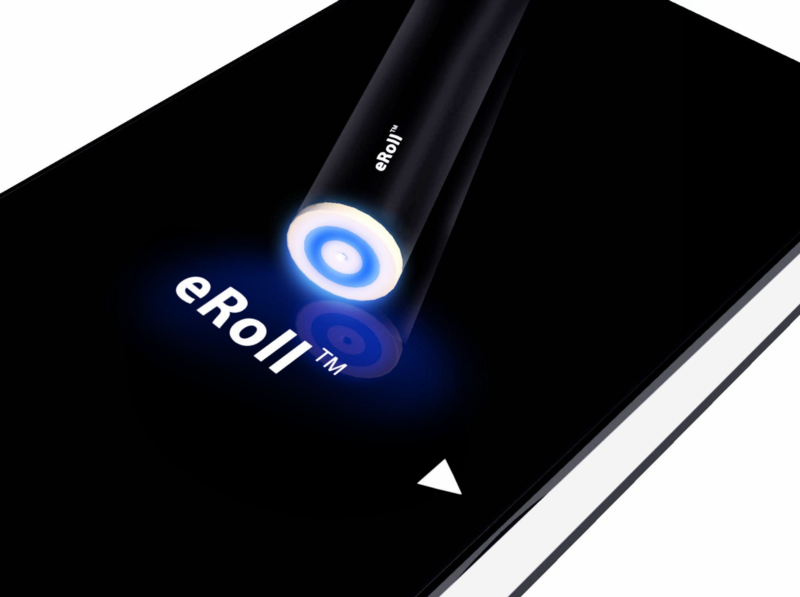 The eRoll is an automatic vapor pen that primes itself without pressing any buttons. 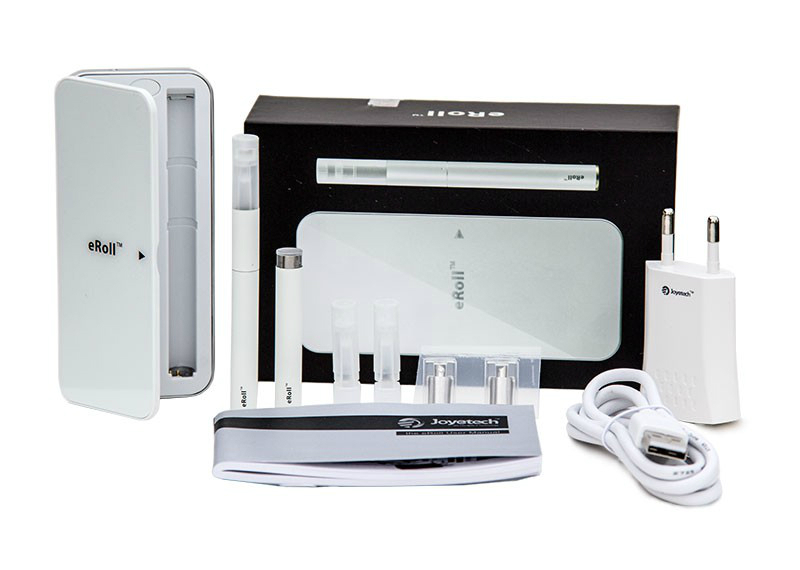 The sensors in the battery detect when you inhale and the atomizer starts working automatically. And that's such a convenience that it happens to be the sole reason why many choose the eRoll. As convenient as it is, it's also a very practical ecig. The eRoll comes complete with a smart charging system that considerably reduces charge time - and you don't even need to disassemble it to charge. 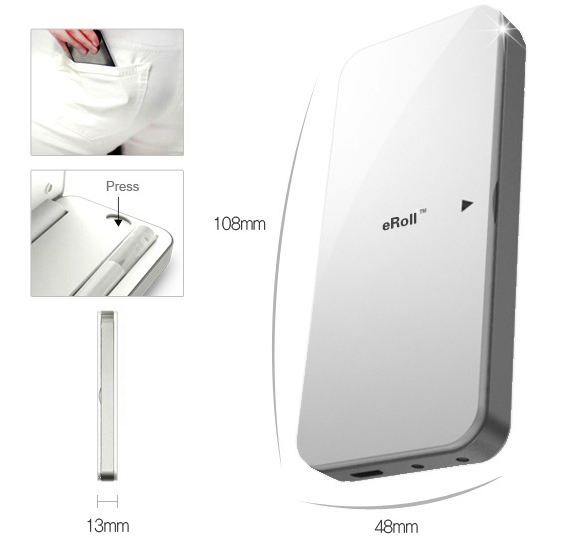 You simply place the eRoll into the Portable Charging Case (PCC) and it starts charging. 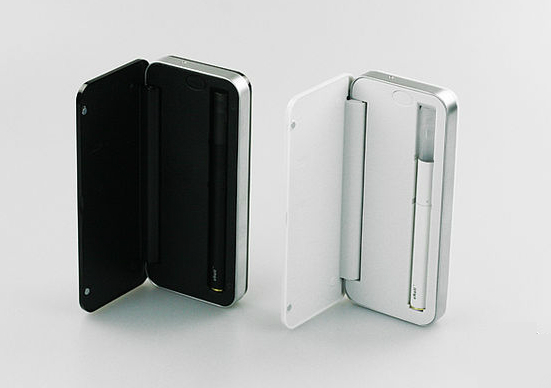 It comes with you wherever you go and fits perfectly in your pocket or bag. 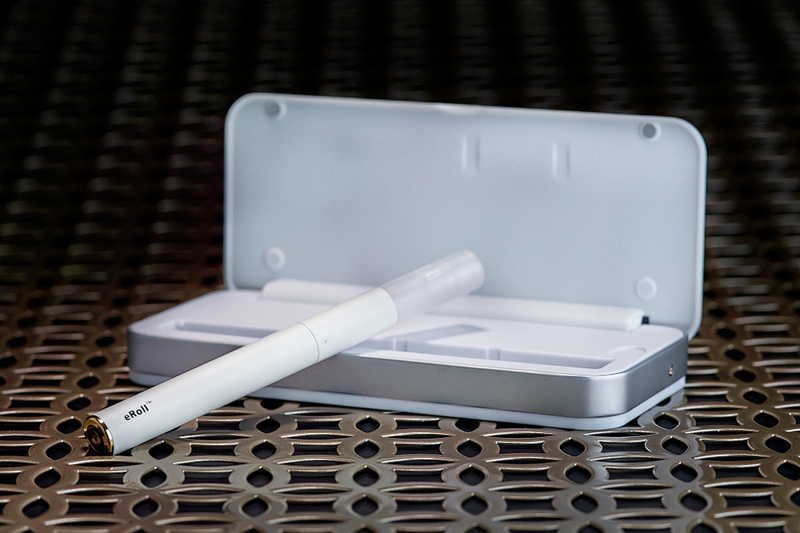 Slim vaporizers are beautiful; the eRoll is an absolutely brilliant vape pen that packs a serious wallop. 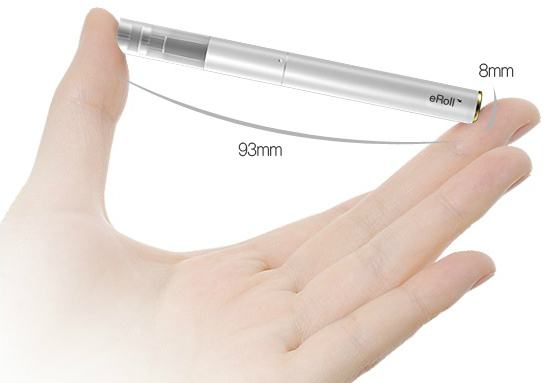 Joyetech eRoll - perfect for all occasions. No more hassle when refilling - no spilling, extremely easy to refill. 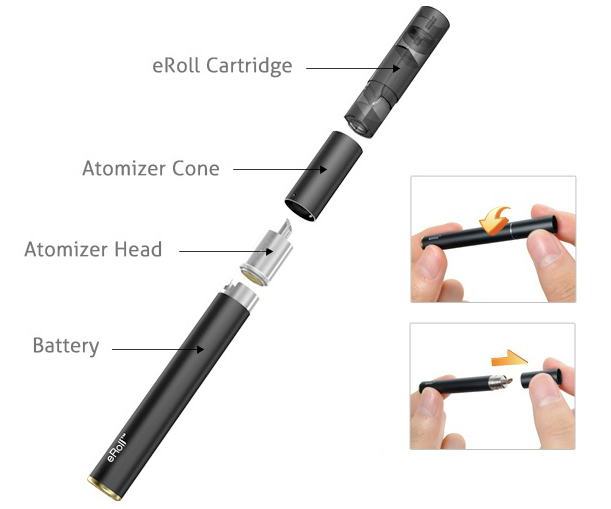 Just change the atomizer head to refresh your electronic cigarette; no unnecessary waste. Equipped with automatic sensors to detect when you inhale. Simple, effective, and extremely convenient. Produces the most amount of vapor in its class. Helps prevent damage to the atomizer. Sized around a real cigarette, designed like a jewel - it's a great conversation starter. Γεια σας Ελισάβετ, σας ευχαριστούμε που επικοινωνήσατε μαζί μας. Για να σας πω την αλήθεια, εγώ δεν νομίζω ότι θα ξανά-απόθεμα αυτό το στοιχείο πια. Αν μου επιτρέπετε, θα ήθελα να προτείνω τη συμπίεση Eleaf - είναι ένα εντελώς διαφορετικό είδος ecig, αλλά είναι στο ίδιο εύρος τιμών και πολύ πολύ πιο προηγμένη τεχνολογία και vaping τελικά αποτελέσματα όπως γεύση transmission, κ.λπ. http://www.hlektronikotsigaro.gr/products?s=squeeze Ελπίζω ότι βοηθάει, σας ευχαριστώ και έχουν μια μεγάλη περίοδο των διακοπών! Tanner Kroos ΗΤ Εξυπηρέτησης Πελατών Το παραπάνω κείμενο μεταφράστηκε στα ελληνικά με Google Translate. Η πρωτότυπη απάντηση έχει γραφτεί στην αγγλική γλώσσα. Σας ζητάμε εκ των προτέρων κατανόηση για τυχόν λάθη που μπορεί να έχει.